Looking for RESIDENTIAL plans instead? Get the peace of mind you deserve with our BizRescueLock 12 fixed rate plan! Rate above applies to all ccf's used. One year service agreement required. Other taxes and fees may apply. XOOM's charges will be reflected on the monthly bill you receive from the utility. If you cancel your service before the contract ends, a cost recovery fee of $500 may apply. If you are currently under a contract with another provider understand your obligations and rights before switching. 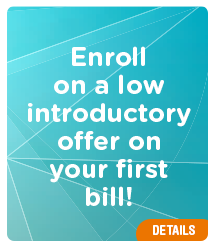 Only the utility account holder or persons legally authorized on the account may enroll. *This Promotional Offer is only available to new customers who have not been a XOOM Energy customer in the past 6 months and is intended for general use customers. The Introductory Offer is intended for customers on standard tariff rates and accounts on special utility tariffs rate such as street lighting, space heating rate or hourly pricing rate schedules are not eligible for this promotion. Your rate will be applied during your first 2 bill cycle(s). XOOM Energy may end this promotion at any time without notice. This rate may change in the subsequent months at the sole discretion of XOOM Energy. With our variable rate BizChoice plan, your business gets the flexibility it needs! Rate above applies to all ccfs used. Take the worry out of your business with our BizLock 12 fixed rate plan! Pennsylvanians know a thing or two about how to produce and use energy right. For competitive prices, be sure to exercise your right to choose between commercial energy providers. 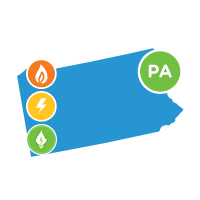 Compare XOOM Energy for options in commercial energy rates and plans in Pennsylvania. 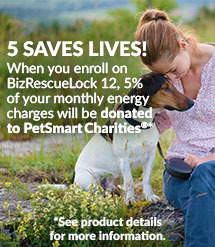 You are in a dual commodity market and eligible to enroll on an Electric plan.